NOTE: Start at 50% and add weight each minute. (A) 10 Minutes: Both partners find a heavy clean. NOTE: One bar. Score is both max cleans. 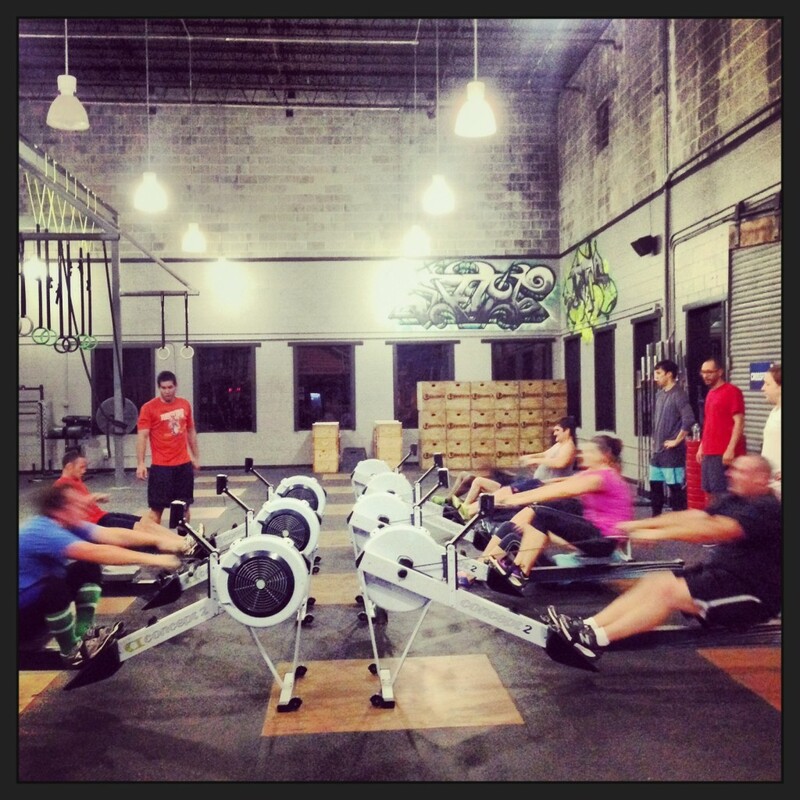 Row 1000 Meters while partner holds weight (185#/135#) in front rack. 50 Burpees while partner holds weight (135#/95#) overhead. 50 Thrusters (135#/95#) while partner holds plank. New thruster PR, 205. Great Saturday morning!